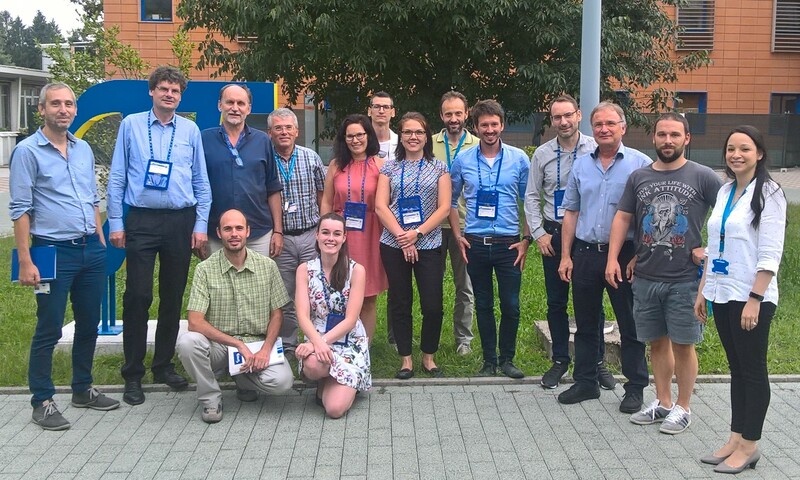 On 06 September 2018, GlobeDrought researchers and the team of the Global Drought Observatory (GDO) headed by Dr. Jürgen Vogt came together at the Joint Research Centre (JRC) in Ispra, Italy, to discuss entry points for possible future collaboration in the field of drought risk assessment and monitoring. The GDO is an operational tool for assessing, monitoring and forecasting droughts and the risk of sectoral drought impacts on the global level, and was developed to cater the needs of the European Emergency Response Coordination Centre (ERCC) operating within the European Commission’s Civil Protection and Humanitarian Aid Operations (DG ECHO) department. The GlobeDrought delegation included the coordinator Prof. Dr. Stefan Siebert from the University of Göttingen, Prof. Dr. Petra Döll from the University of Frankfurt, Dr. Michael Hagenlocher from United Nations University (UNU-EHS), Dr. Valerie Graw and Dr. Olga Didova from the University of Bonn (ZFL, IGG), as well as Dr. Tobias Landmann and Ms. Natalie Cornish from Remote Sensing Solutions GmbH. The meeting was kick-off by short presentations of both teams on ongoing activities in the field of drought risk assessment and was followed by intensive discussions in break-out groups on common research interests and potential topics for future collaboration. The meeting has yielded a number of entry-points in the short- to mid-term, including further exchange and joint work on i) drought hazard indicators, ii) vulnerability assessment, iii) impact assessment (e.g. on different crop types), as well as on iv) web-mapping tools to disseminate the outcomes of drought risk and impact assessments.